To sales professionals, procurement teams often seem like an insurmountable hurdle on the path to winning sales. While it’s true that procurement generally wields a tremendous amount of influence, it’s also true that it’s possible to learn how to work effectively with procurement teams. And sales teams should actively plan for smooth collaborations with procurement: Failure to do so can leave the sales professional vulnerable to last-minute customer demands, competitive pricing pressure, and unforeseen delays. The fact is, working with procurement is like any other selling skill. Why negotiating with procurement has traditionally posed a challenge for sales teams. Insights to help salespeople shift to a collaborative mindset when working with procurement. 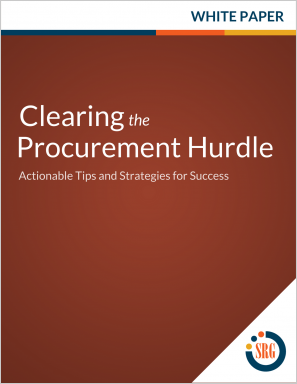 Specific strategies and tactics that can help deals from stalling out when procurement teams get involved.